I'm a professional tarot reader, but when I don't have a tarot deck with me, I can use a deck of playing cards to provide a useful reading. 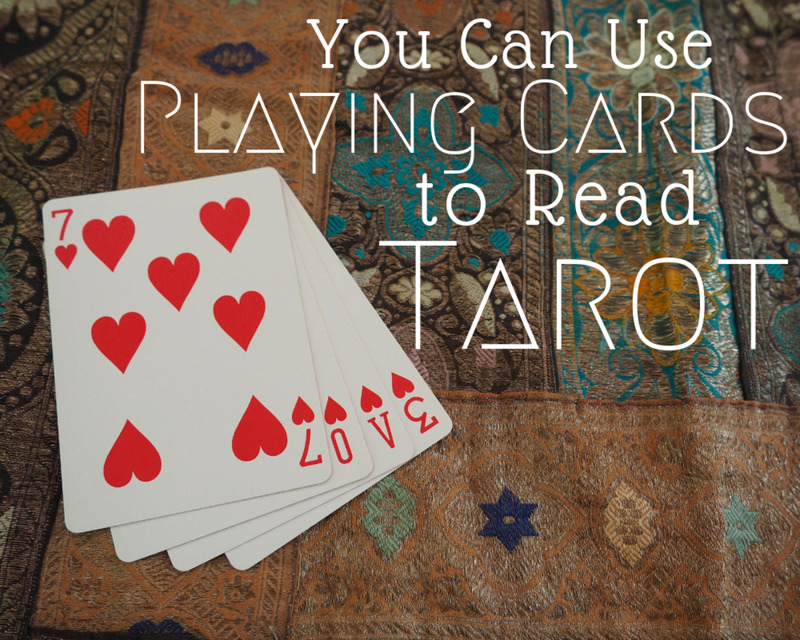 Can You Use Playing Cards to Read Tarot? You don't need a special deck of tarot cards to perform divination—a deck of ordinary playing cards will suffice. I'm a professional tarot reader, but when I don't have a tarot deck with me, I might use a deck of playing cards to provide a useful reading. Which playing card suit corresponds to which tarot card suit? It's a little bit harder to read playing cards since apart from the court (royal figures) cards, there are no images to guide you. This makes the numbers and the suits more important. Hearts represent cups, spades are swords, diamonds translate to pentacles, coins, or discs, and clubs represent wands, rods, batons, or staves. We will get to the number properties in the next section. Meanwhile, you might be looking for a quick list of playing card tarot meanings. Hearts (like cups) represent the realms of emotions and feelings. Heart cards cover not just love but the whole range of human emotion, from despair and powerlessness to contentment and joy. Hearts are very often also represent relationships because relationships engender the full range of emotions. Spades (like swords) are connected to all aspects of thinking and communication. Spades represent 'head-stuff', if you like. So lying would come under the rule of spades, as would writing, studying, and decision-making. Spades and swords are also associated with taking (constructive or destructive) action, like making changes, using force, asserting power, displaying ambition, having courage, or facing conflict. Diamonds (like pentacles, coins, or discs) can offer insight into the practicalities of life. Diamonds reflect all practical, material aspects, including home, work, business, projects, property, and money—all the things we can touch, and yes again, relationships, but from a practical viewpoint. Diamonds may also indicate health issues. Clubs (like wands, rods, batons, or staves) are action cards. Clubs may be a call to action in the realms of creativity, business, intellect, or relationships. They represent action, adventure, risk-taking, or competition. They can also refer to physical or spiritual energy, inspiration, intuition, ambition, and growth. Spades—like swords in a tarot deck—are connected to all aspects of thinking and communicating. Knowing the properties of numbers will give you a solid framework on which to base all card readings, whether they be playing cards or tarot. Remember that each attribute has a positive and negative aspect. For example, fours mean stability but they can also mean feeling stuck. We now have two points of reference for each playing card: its suit and its number. The following table will help you interpret each card. However, the depth of a reading depends upon your skills of seeing stories in the cards, linking them together, and judging how one might influence another. Those skills will only come with practice. Also keep in mind that these interpretations are necessarily brief, and you can extend them to encompass related concepts. 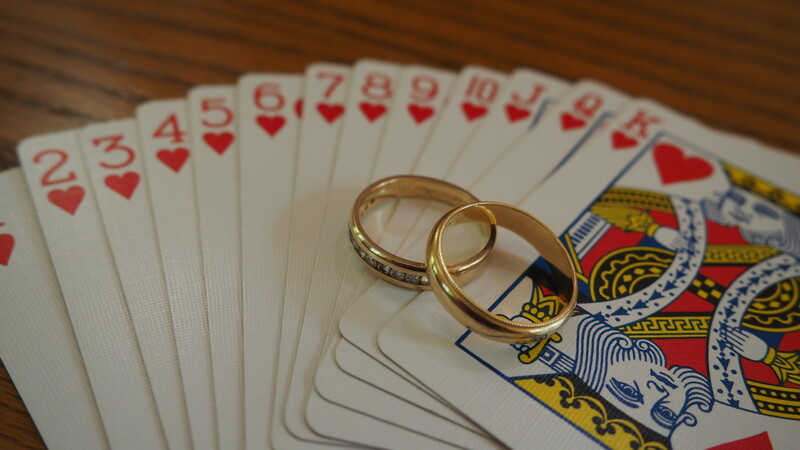 For example, the three of hearts might indicate a party, the four of clubs might mean a wedding or a change of residence (each event is the culmination of a period of hard work). Be creative in your interpretations. Before you do a reading, it's important to remember that someone might be upset by a disturbing one, so always keep your interpretations upbeat and emphasize that it's just for fun. The face cards in a regular playing card deck correspond to cards in a tarot deck. 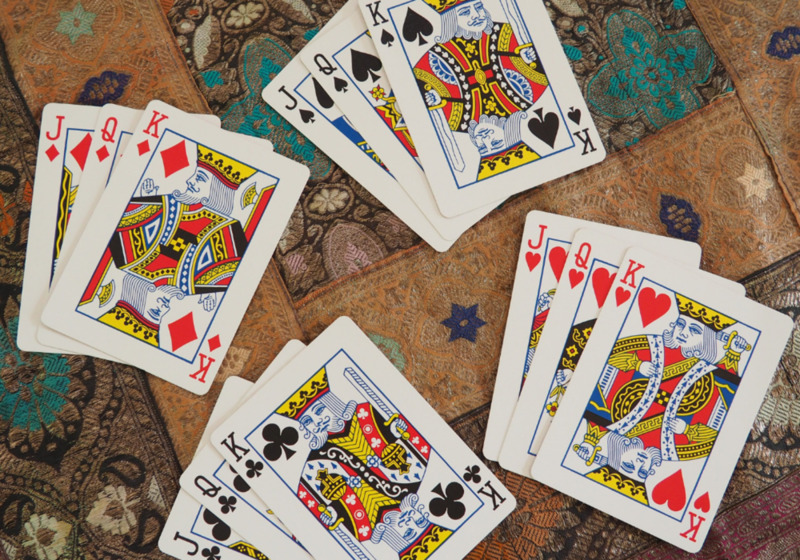 The court or face cards (Jacks/Knaves, Queens, and Kings) can be read in two ways—they can either represent general personality traits or they can point towards real people. You have to work out which applies in the context of each particular reading. 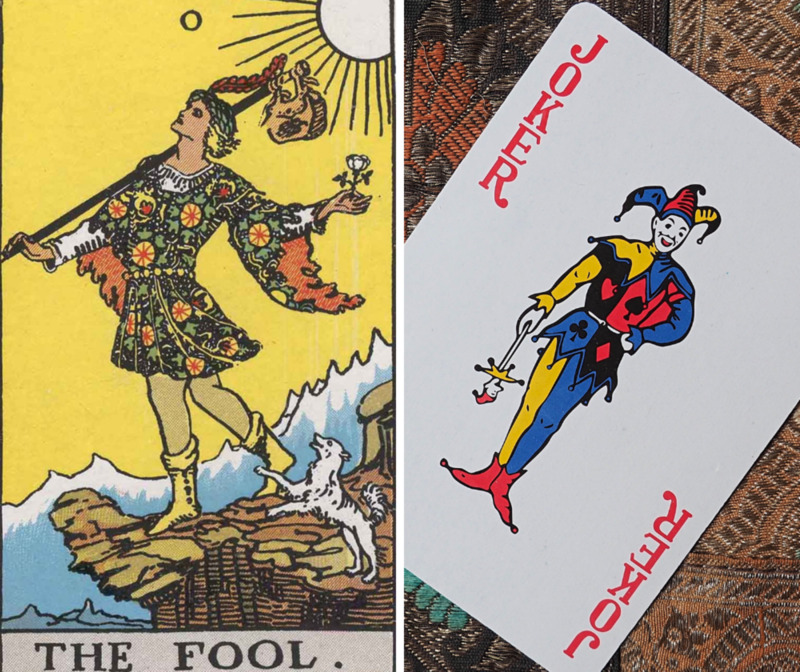 The Joker is the equivalent of the Fool in the tarot and, as such, it means unlimited potential, a simultaneous ending and beginning, taking a big risk but having trust that all will be well. In many decks, the Fool is depicted as a young, carefree-looking man standing on the edge of a precipice. It is a powerful card. It would be a good idea to mark this card to indicate a 'right way up' or a 'wrong way up', so that it can show the reverse meanings of folly and foolishness. To help you learn and understand the cards, I've created a page: List of Meanings for Playing Card Tarot. By necessity they are short, but with practice, you can expand on them and learn how to interpret them to fit the question and situation. Begin with one-, two-, and three-card readings. Practice by reading cards for situations you read about in the press or on TV. Pick a random card each day and see how you can connect it to your daily trials and tribulations, triumphs and joys. Read for friends by all means but emphasize that it is for fun and practice. Don't try serious readings until you feel competent. Learn how to lay out a spread—the position of a card in the spread will modify its meaning. Above all, enjoy the learning experience and do go and buy yourself a real tarot deck! How many cards are in a tarot deck? 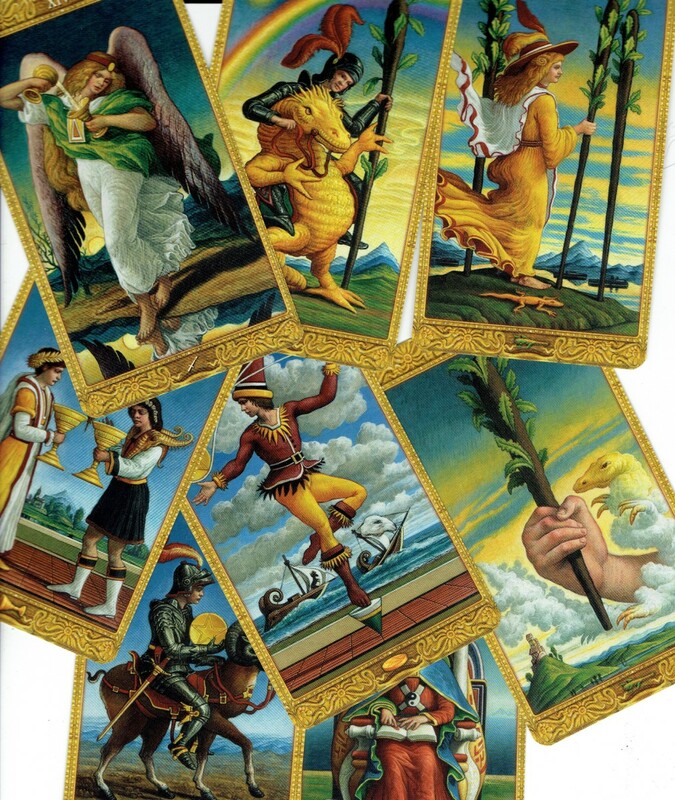 There are 78 cards in a standard tarot deck, which includes both the Major and Minor Arcana. There are 56 suit cards in the Minor Arcana: Ace (one) through 10 and four face cards. There are also 22 "trump" cards in the Major Arcana. 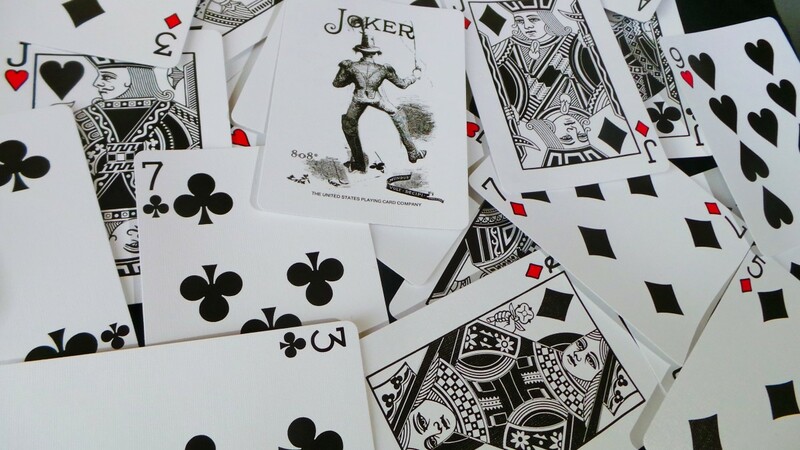 There are 52 cards in a standard playing card deck, plus a Joker, so if you don't have a tarot deck, you'll be playing without the knights and most of the Major Arcana. What is the Major Arcana? The Major Arcana, also known as the trump cards, are 22 picture cards that have archetypal and allegorical meanings and divine Egyptian, kabbalistic, and/or Jungian interpretations. Some suggest that these cards correspond to the stages of life (that begins with 0, the Fool, standing on the precipice). They usually employ a Roman numeral (from 0 to 21) to visually separate them from the Minor Arcana. For example, 1 is the Magician... and 21 is the World. If I'm doing a tarot reading with playing cards, which cards represent Death, the Hanged Man, the Tower, etc? Since a regular playing card deck doesn't include the Major Arcana (except the Fool, 0, represented by the Joker), you won't be using those cards. Reversed, or upside-down cards, don't occur when reading playing card tarot. As the cards look the same, whichever way they face, it's not applicable. However, if you think about it, the whole negative to positive spectrum of meanings is already in the card. It's your job to interpret which meaning is the most accurate. As you probably guessed, hearts correspond with cups in a tarot deck and represent the realms of emotions and feelings. If you want an in-depth reading, it is best to consult a professional tarot reader with a good reputation. I don't understand the Six of Diamonds. What are a few ways I can interpret this card when reading for tarot? The Six of Diamonds is connected to the Six of Pentacles in the tarot. It generally means reaching a better place after discomfort or material challenge. It also means giving and receiving help and support. I've starting tarot reading at a young age. People say I've been able to read their past, present, and future (they come back and tell me it came true). I was wondering if I should continue this? Well, I would discourage you. For the simple reason that you just haven't lived enough life to be able to advise other people. It's really easy to cause horrible damage with one ill-thought-out remark. You really don't know how it can affect sensitive or anxious folk. For your own well-being, I would wait until you are older. How do I cleanse tarot cards to rid them of negative energy? Sometimes all you need to do is a really good, prolonged shuffle. Alternatives are: swap to a different deck and let the first one rest. Placing a crystal on top would also help. Spread them out on a windowsill in the moonlight and leave them over night. Pass the whole deck through the smoke of a candle. Also remember that if you feel yucky after a reading, try washing your hands in cold water and shake them outside. Have a drink of water too. How do I set up playing cards to read tarot? I've heard that one should never buy their own tarot deck, it should be a gift. Is this true? No, it's one of those myths that have no factual basis. Feel free to buy your own deck. Remember that they are only pieces of card with printed images on them. They are not magic in themselves. The magic occurs when your brain makes connections when seeing the images. Do I need to bless my playing cards before using them for tarot readings? Only if you want to. They are just cardboard with symbols on them. They are not magic. The magic comes when your intuition interprets the symbols. I have over 50 tarot decks, and I don't bless them either, although I do whisper a little 'thank you' to the universe after a good reading. How do I set up the tarot cards? When reading playing cards, shuffle them thoroughly, cut the deck in half with your non-dominant hand and swap the two halves over. Turn as many cards as you want and interpret them. Should I use one or two decks of playing cards? Does the ten of clubs mean my boyfriend is cheating? Use one deck otherwise you will get confused. An experienced reader may use two decks for a particular kind of spread, but that is rare. The Ten of Clubs doesn't mean your boyfriend is cheating. However, it probably means the relationship is coming to a natural end. The energy of the Ten of Clubs is heavy and slow. However, if you are both determined to work at it, you could revive it. How many tarot cards do you put down to read? That depends on your question. If you want a yes/no answer, then one will do. If you need more information then a structured spread will be necessary. Is it weird that my brother does tarot and gave me a tale of pregnancy and motherhood when he read me with his tarot cards? When I read with a regular deck, I got both of them: the 8 of Clubs and then the Queen of Diamonds. Is it weird? Well, no. That's the whole point of cartomancy to reflect what is happening in your life. Sometimes you will get different readings, depending on the energy and other things going on with you. It wouldn't even have to be the same cards. For instance, in tarot, there are lots of cards connected to pregnancy and children: The Empress, Six of Cups (Six of Hearts), and Page of Cups. Often a combination of cards might hint at a baby or new family member: Ace of Cups and Ace of Wands, or Ace of Cups and Ten of Cups/Ten of Pentacles (Diamonds). If I were to mark the top of bottom of each card, would that allow for reversed meanings? Also, are there any ways to expand what a basic deck of cards can tell me? As someone who can't access tarot cards due to my family, I'd love to have the widest possible range of meanings in my readings. How do I set up the playing cards for reading tarot with playing cards? Are there any tarot spreads which use all 52 playing cards? I'm sure there are, and you could always devise your own. There are some tarot spreads that use the whole deck. Generally, the positions are limited, but you place multiple cards upon them. I'm not fond of large complex spreads myself. Do I use both jokers or only one when using playing cards to do tarot readings? What is the best way to lay out a simple spread for a beginner? My two daughters and I shuffled a deck of cards and we all picked the Queen of Hearts. What does that mean in terms of tarot? I wonder if one of you could identify with the character of the Queen? It means that you are emotionally supportive and sort of the glue that holds you together. Do you recommend a set of tarot cards, or could you advise on how to pick a deck? For beginners, it would always have to be the Rider-Waite or a close variation. And that's because there is so much written material for that deck. It's the deck that most readers, I would guess, carry in their heads. So learn with that one, then take that knowledge and apply it to the next deck with all the additional insights from the new deck's creator. In that way, with each new deck you work with, you'll be building a comprehensive body of knowledge almost without any effort. If using playing cards for tarot, what does it mean if the Ace and Three of Diamonds fell out while I was shuffling the deck? It could mean there's a gift or promotion on the way. What does it mean when the cards read 2, 3, 4, 5, 6, 7, 8? It means you haven't shuffled them thoroughly. If they are mixed suits, then they become quite significant and can indicate a journey or progression through a life lesson. Without knowing the question/situation I can't tell you anymore. I asked a single yes or no question and got the joker. What does drawing the Joker mean in tarot? If you think about the Joker as meaning stepping off a cliff, taking a risk, trusting that all is well, you can determine whether it is positive or negative. Usually, when doing Yes/no readings I would advise removing the Joker as it is so ambiguous. Can playing cards read as tarot give answers/interpretations that are more in-depth than those described in this article? Absolutely. It would be impossible to cover the whole range of possible interpretations in a single article. That's why I encourage people to expand on the ideas I've put forward. 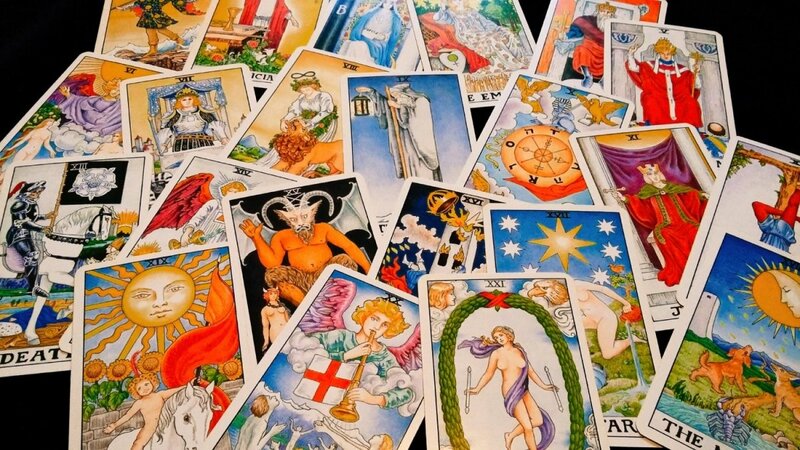 Research the equivalent tarot cards, even get yourself a tarot book and write the playing card names on the corresponding pages. How do I shuffle playing cards for tarot? How many cards do I deal? In a tarot reading, if the card is reversed, would it mean the opposite? There aren't any reversals with regular playing cards as they are the same both ways. It is possible to mark them so that you have the chance of reversed cards showing up. Reversed cards can mean the opposite, but they are more likely to show that the energy of the upright meaning is weakened or 'malformed'. So taking the Ace of Hearts as an example, it could mean that a new friendship doesn't get going properly, or that the 'friend' isn't really a friend, or the new romance is dead in the water. As always, context is everything. Personally I rarely read with reversals, even with tarot cards, as I think that all the meanings are available in the upright cards. It's all in there, and if my intuition whispers that the card's negative aspects are more suited to the interpretation, then that's what I go with. Can playing cards tell me if I've been lied to? How do I pull and lay my tarot spread? How many cards you put down for a reading? As many as your question requires. If you want a simple yes/no answer, then it's best to stick with one. If your situation is complicated enough to warrant several questions, or aspects, such as past, present, and future, then you'll have to use more. Do the playing cards have to be specifically for tarot or can you use them again for games? I think it would be fine to use them for games as well. I am not one of those who think that cards are sacred. They are just cards. How can I learn to read tarot cards? I don't have much money, and I am very young. My family is psychic and sensitive to otherworldly things and beings. What does the court Tarot card alone correspond to? Without the suit following it? I'm not sure if I've understood your question but I'll try to answer it. Jacks are explorers and are very action-oriented. Queens are intuitive and inward looking. Kings are expressive and outward looking. In a reading you would combine the above with the qualities of the suit. So the Jack of Hearts would be an adventurer and explorer of love and emotions. The Queen of Hearts feels her way through life and has a well developed intuition. She can also sense the emotional state of another person. In other words, she's empathic. The King of Hearts has a more pragmatic view of emotions and is often a reliable advisor and counselor. What does the reversed Ace of Hearts mean? Usually, there are no reversed (upside-down) playing cards as they are the same from both ends. However, you can mark them to add the extra dimension of reversals. The reversed Ace of Hearts is the same as the Tarot Ace of Cups. It can mean that love has flowed away, or that a new attraction is not quite so strong as it first appeared. Sometimes, it merely indicates a weakened version of the upright card. As always, the interpretation depends on the question and circumstances. How many playing cards should I draw for a good answer? For example, for a love reading, you might draw two cards to represent two people's point of view. Or how about something like 1. How he feels, 2. How she feels and 3. The future of the relationship. The only thing I would not recommend it to draw too many cards, as it will simply lead to confusion. When reading tarot cards, what do the 10 diamonds mean if in reverse? There aren't any reversed cards when reading playing cards. It's possible to mark them but there's no point really. All the meanings are contained in the 'upright' orientation. What does the reversed Joker mean in a tarot reading? 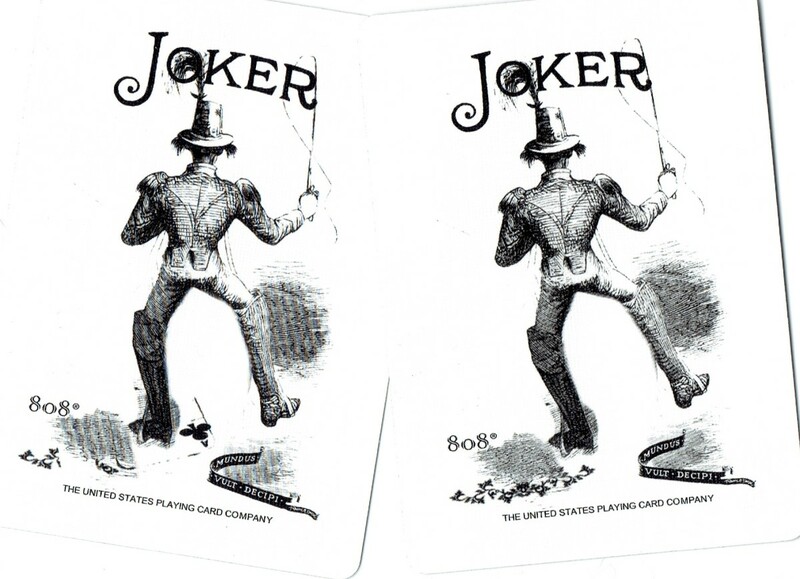 If you choose to use the Joker, you can mark the card so that you have an upright and reversed option. Should the reversed Joker turn up in a reading, it means the energy of the upright card is weakened or made negative. It depends on the situation and question. Common reversed meanings are folly, stupid risk-taking, making mistakes, impulsive, reckless, etc. How long does it take to see any results from a tarot reading? A tarot reading is just a snapshot in time. It reflects what is happening around the querent in the present. It may also indicate what past influences are at the root of the present situation, and it might also show a possible path to the future. However, nothing is set in stone, and the querent might make changes in the present that affect how things turn out. For instance, if you had a reading and the reader told you that your future planned trip isn't such a good idea, you might decide to alter your plans and go on a different trip, or not go on one at all. You are in charge of making the changes that will define your future experience. My readings have been very accurate many times, and a large reading, such as a ten card Celtic Cross might take a year to unfold. 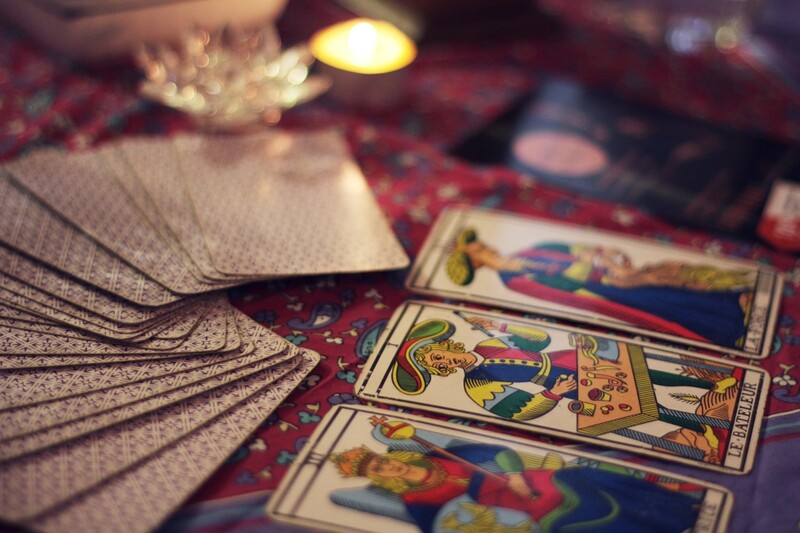 Is tarot card reading a form of magick? Yes and no. There is nothing magical about the cards, after all they are just mass produced cardboard. The magic happens when the images connect with your intuition to form a message or conclusion. How do I ask yes or no questions with tarot? I am doing a tarot course where Pentacles is linked to Clubs, but do you have Pentacles with Diamonds? Yes, that's right. Clubs is the most 'negative' suit and thus is aligned with Swords. It's fine to have a different system because the right cards will turn up for you when you do your readings. There are systems in tarot that hold that Swords = fire and Wands = Air. That doesn't work for me, but it does for many readers. As I say, you will still be able to perform your readings as good as any other reader. In regard to using playing cards for Tarot readings, I find playing cards in the street or on a wall or in other random places from time to time. Yesterday, it was a pristine King of Hearts. Should interpret this as the card picked me rather than the other way around? My late, uncle read playing cards for fun but he was very insightful and accurate. He too used to 'find' cards. Do you have a view on this? I don't really have a view. I can't remember it happening to me. The King of Hearts might be a sign for you to open your heart and be ready to either accept love or to give advice to someone about love. I have always wanted a tarot reading, but I am not confident in my understanding of how to do it myself. Do you have any recommendations? Numbers represent both positive and negative. How can you tell the difference? I imagine it has something to do with the position of the playing card, (pointing up, pointing down) being used to read tarot? There's no pointing up or down with playing cards. They are the same whichever way you look at them. The interpretation depends on the question, the circumstances and your own intuition. I have a deck of cards that my brother gave me that I want to use for readings. They're playing cards with WW 1 & 2 posters on each card. Since every card has a picture on it, how much attention would you suggest I pay to the picture and to the suit/number? How do I shuffle and deal the cards? 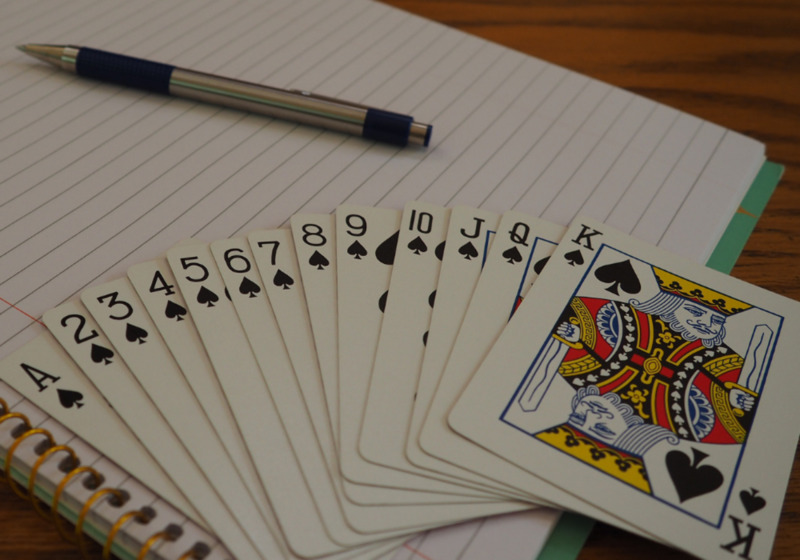 Where did you learn to read playing cards? I began to learn tarot in 2000. I read everything I could. I did free readings for the American Tarot Association; sometimes one, three or six card readings in an evening. I helped set up TABI (Tarot Association of the British Isles), and created their basic tarot course, based on Joan Bunning's teachings. I then set up my own website, and so on. A few years ago, I tried to read with playing cards by merely transposing my knowledge of tarot, and it worked. I gave a solid, accurate reading. I decided to write down what I'd learned, hence this article (and many others). I am trying to get a feel for a person. What would be the best way to do this? I have numbered cards. For example, if I get a 3 of Spades, I’d think that they were easily misunderstood, or they misunderstand themselves. It sounds like you have it nailed. Although it's important to remember that the card may only reflect he or she as they are at this moment. If you drew another card next week, you'd get a different aspect of the person. How do I set up playing cards for Tarot reading? When using playing cards to read tarot, how many cards do I have to choose to read? In a reading about a romantic interest at work, I drew 8 Spades, 5 hearts, 7 clubs. Any sort of insight into this would be greatly appreciated. How should I interpret this? It's on the cards: I predict you will leave a comment! Someone will be detaching themselves emotionally. There may be pain, but a difficult road must be taken. That's because it depends on what the reader wants. Many will devise their own spreads. Lots will just use three cards: past, present, future. Some are happy to ask yes/no questions where one card is sufficient. Yet others want to go for the full 10-card Celtic Cross. You are very welcome, Ama. There are other systems that change the correspondences between tarot suits and playing card suits. See how it goes for you... if you feel strongly that they should be different than these, then change them. It's not set in stone, and it's all about what works for you. Hello! Thank you for putting together this wonderful resource! The table really helps me. I’ve been working with a mini Rider-Waite deck for years... just as a personal development tool for when I wanna ask myself tough questions (or avoid them!) or feel myself approaching a crossroads/crisis point, etc... as a prompt for journaling. I moved to a new country one month ago, and realized I had forgotten to bring my deck — which I immediately began to miss and crave very much, as new situations, opportunities, perils, and crossroads began to develop. I didn’t realize how much I would miss being able to turn to the tarot deck as a starting point for self-reflection and context. I have been finding a playing card in my path about every 3 days. I love finding them!!! They have turned up at the most perfect moments to punctuate my unfolding story (awareness) into little chapters. Now I’m trying to internalize how the suits correspond to tarot suits, so I don’t have to check my phone every time I find one just to make sure. I get thrown off by the colors — red fiery diamonds always make me think of wands, and black earthy “clovers” make me think of pentacles. Hearts=cups is the only one I don’t second-guess myself on! I only started to remember spades=swords when I stopped thinking of garden tools (earth... pentacles) and started focusing on the pointy tip (pointy! swords!) ... now I’m copying your table in my journal for reference. Thank you for providing this resource. I found my first Jack the other day — Jack of Diamonds — and I’ve been turning over in my mind the question of Page vs Knight, or a melding of the two. Your descriptions help a lot! Sorry, Dawn, I don't know of any. I simply applied my knowledge of tarot in order to develop this system. what book would you recommend that has the meanings of playing card tarot? Hi Meredith, Thanks for your kind words. The best way to expand the meanings of each card is to explore the corresponding tarot card, i.e. the Seven of Swords. So that would give you a huge amount of extra layers of meaning. Space is at a premium in a table, so I had to go with one or two keywords. When it comes to the Seven of Spades, as well as the meaning given, you can think along the lines of 'restoration'. In the terms of restoration of justice, or regaining something previously lost. The traditional meaning is theft, or retrieving something that was taken from you. All the cards are so complex that it would take a book to explain them all. And on top of that you have to allow your own intuition to kick in. I'd suggest that getting yourself a good tarot book might help you with your readings. First, this is wonderful. Its so convenient and there are so many ways I can decorate my cards, such an easy and fun way to learn. That being said, ive done several practice readings for myself and I was just wondering, If Ive drawn a card, lets say a seven of spades, The listed correspondence seems a bit negative (Mystery or overly concerned with Superficialities). I was under the understanding that for every negative correspondence there is a positive. So is there a positive one for each of the cards that you've given only a negative correspondence to? Sorry Melat, I don't interpret other people's cards in that way. Yesterday I was looking ur page and get eager to learn n read tarot so I start practicing with my brother card which I get it at home. And when I sleep I see a dream that two women is trying to rob my wallet and wakeup and when I walk through the waiting room I heard my mom voice talking about who are the ladies coming to us and I asked her who came to our home and she told me two ladies was knocking our door early morning and they run out when she open and see them I was very surprise that I saw similar thing in my dream and tell that to my mom. 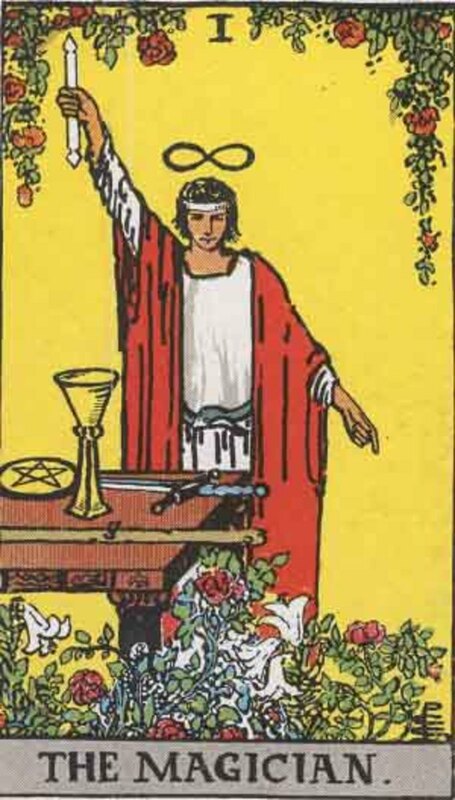 So I get very eager to know who they r and came to my room to draw a tarot card then shuffle it to 7 times and I drew 7 cards which is......Ace of sword,nine of pentacles,five of wands,eight of pentacles,nine of sword,three of cups and two of pentacles. I wonder how to read it clearly please help me my dear. I hope to hear from u? Hi Bev, thanks for posting the interpretations. ...helped me figure out why I kept dealing the same cards (over & over again) even after a lot of shuffling & cutting the deck. I’m not a psychic nor a card reader (the nickname is from a song). Interesting that I tried reading a few people and it works. This is interesting. I never knew we could use playing cards as a substitute to tarot. It's true, anyone can read the cards. The meanings, especially of tarot cards, have been published for centuries. But, yes, you are missing something. A gifted and accurate reader needs intuition and well-practiced skills to deliver a valuable and useful reading. To be honest, I've never seen money exchanged for readings at a family party. Who would? Lovely, Keso. What do you think it means? I got Joker Facing wrong side down, 9 of clubs and 2 of hearts. Thank you Bev. I just bought the book in ebook form. I really appreciate your advice. Have a nice day. That's a fascinating story. Especially the "Learn to read." whispers by your inner being/intuition. I would suggest that those words apply to other things as well as the cards. For example, paying attention to synchronicities, signs, numbers and symbols that occur and reoccur. Often you won't understand their significance and that's okay. Just let them be and all will be revealed in due course. Don't strain, just keep an open mind. Learning to read the tarot can seem both prescribed and confusing when you are starting out. The trick is to take one system (like the Rider-Waite) and use that as the framework on which you hang your own intuition and experiences. You must never be afraid to let your own life experiences inform your readings. When random thoughts and memories pop into your head when you are reading the cards, they do so for a reason. The 8 of Hearts interpretation is a standard one for the Eight of Cups, not mine particularly. Eights are always about movement or the lack of it. So When applying the qualities of the number to the suit of Cups, you get this 'emotional letting go'. In the Rider-Waite deck, the figure has turned his back on emotional fulfillment (in the present) to undertake a journey that may be difficult but ultimately will have its own reward - as shown in the Nine. My advice is to stop trying to absorb too much from a wide range of resources and just stick to one for the time being. Something like 'Tarot, Plain and Simple' by Anthony Louis. He uses the Robin Wood deck which is based on the Rider-Waite, but with useful extra symbolism (best Devil card ever). It's the deck I keep in my head when using any other deck. Leave the playing cards behind and focus on tarot. Then instead of memorizing the cards, the imagery will always remind you what the card means, and your intuition will fill in the gaps. I'm Paul. Ive been on a quest to become a Cartomancer. But so far its been hard. Ive become so confused because ive read book after book and looked at website after website and have found that there is no "one true way" to learn how to read cards. I started this journey in February of this year. This voice in my head that ive heard since i was teen (im 35 now) told me to "learn how to read". I didnt understand what the voice meant. Until a few weeks later i stumbled across a youtube video on fortune telling with regular playing cards. It was a gypsy method of only the 9's up through to the Aces. So i dabbled with it and was completely astounded to find that i had made very accurate predictions for my best friend. He persuaded me to learn the Tarot. Thats when i realized what the Voice meant. "Learn to read" the cards. The gypsy method was accurate yet incredibly vague. So i started reading books. Researching websites and watching endless youtube videos on Cartomancy. But after months of this ive completely stopped all learning. Nothing made sense. Every method was the same yet with subtle differences. Sometimes major differences. None of them "felt" right to me. I even memorized the major arcana cards. Well 4 or 5 key words for each card. I stopped learning because i realized that i was learning solely based on chance. None of it "felt" right. Everyone claims their meanings for cards are the most correct. So back to the dream: in these recurring dreams i never truly see her but i "feel" her presence or hear her voice. Im always chasing her. Desperately looking for her. Looking for an answer to why she didn't love me. Looking for closure. But i always wake up in tears. But the dream i had a few nights ago was different. Because as i was doing my usual routine of looking for her i saw a playing card. The 8 of Hearts. It was something new. So when i woke up i started looking up meanings for it. But once again all i found were contradictory definitions. Some even spoke of Happiness or a growing bond. None of the various meanings of the 8 of Hearts came close to describing the feeling of my recurring dream. "8 of Hearts: Emotional detachment, leaving love behind, making a hard choice"
When i saw your definition i got goosebumps. Your definition perfectly describes my dream and what actually happen between me and her. I was the one that left her. Left my love behind. I made a hard choice. Probably the hardest in my whole life. But it was the right choice. So my question to you is this: why would i see the 8 of Hearts in my recurring dream but the only card interpretation that correctly explains its meaning is your interpretation? Is this coincidence? Is it fate? I see it as my subconscious new i was about to give up on my new journey of becoming a cartomancer and gave me a way to choose a method that i would resonate with so deeply. It used a very powerful and painful memory of my first love to point me in the right direction. Is this possible? Im really curious to see what you make of this. I feel like this isn't just a whim anymore. It feels like fate in the making. Sure, John, just look up the Ace of Cups on a search engine. The tarot Ace of Cups is equivalent to the Ace of Hearts. Sounds like love is/will be playing a big part in your life. I have been pulling out a random card every day, to help familiarise myself with the deck and make it easier for me to remember all the cards. i came into reading these cards thinking there was no possible way this stuff could be legit so I used this, one card a day thing to see if it represented what happened that day. my results surprised me every day my cards reflected the what had happened to me that day. for the last week, I have pulled the same card, the ace of hearts. which is kinda creepy considering how much I shuffled the deck daily. is there a more in-depth description of the card that will help me get a grip on why i have been pulling it out every day? Years ago a dear lady, mother of a friend would read the cards for me and soon learned from her. Due to where I live and people in my life I only will do readings for those who know about me. I have really enjoyed reading your pages I found it very easy to comprehend for me that's a 1st ha ha,keep up the good work many thanks . I really liked the information here. It has opened my eyes to some insight . Thank you! Good luck, Janisa! Thanks for reading. Well the Queen of Diamonds is equal to the Queen of Pentacles in tarot. As a character she is a practical, down-to-earth person. She gets on well with other people. She's maternal, a nest-builder but can also be a career woman--she would be a midwife or work in a practical, supporting role. In answer to your question, it's not the most helpful card to appear because it's not really a yes, or no (unless you assigned red cards to yes, and black cards to no). You could try repeating the reading after removing the court cards from the deck. I keep getting the queen of diamonds when I do readings about this girl I really like. Two examples of when I got that card was in a three card spread of past present and future. It said that was her future. Another I just Did wan a one card spread and I asked if she liked me. These aren’t the only times though, I think I’ve gotten it close to 75% of the Times I do readings about her. Do you think this means anything, or am I just making it up in my head. I do shuffle the deck well before each useage, and I don’t think it is just a coincidence. On a side note thank you very much for this article, I love it so much. No, that's a complete myth. You can buy your own cards with no worries at all. If you wait for a deck to find you, it might be a long time coming. They aren't some special, magical things made by fairies, just images on card printed in a factory. The magic happens when your intuition connects with those images. But someone once told me it’s bad luck to buy your own tarot cards (not sure about the oracle cards) and that if it’s meant for you they will find you them selves? Is this true? Thanks for posting this! I'm rather young and want to study Tarot. I was thinking about getting my own deck but never had the time to do so. But when I found this article, I was very happy! Is there any tips for any newcomers who are just getting into spiritual and fortune-y things? Hi Ella, no. Playing cards don't have reversals like tarot, because they are a mirror image whichever way you look at them. It's not face-up or face-down, by the way. They all have to be face-up. The Joker can be marked, and that's only if it is your personal preference to do so. If it comes out in a reading upside down, then its meaning is weakened or distorted into 'folly'. If this is confusing, then just leave the Joker as it is. Learn the cards first and then you can change things up to suit your style of reading. Remember that the meanings I give in the article are just the tip of the iceberg, you can expand on them as you like, and according to the question and circumstances. hi Bev, I am learning to read cards from your website, and it is really helpful from the few attempts I have made, even though I have not liked the answers I believe that I have read them right. just one thing though, you mentioned it depends which way the cards (joker) comes out (face up/down). does this mean I need to shuffle the cards to make all the cards face different ways??? What kind of spread should I put the cards in to read them? I've seen multiple different ones and I want to know which spread would be most suitable for a beginning reader. Enjoy your study, Myridiasage. If you have any questions, please feel free to ask. Soooo happy I found this! I'm very keen towards tarot yet for now my practice has to be easily hidden so this is perfect for where I am at transitionally! I am a born Psychic and Certified Hypnotist. I have read cards publicly for 46 years. I received the meaning of the cards from spirit. many correspond to those you have here. Others are a bit different. If a relationship between cards is unclear at first spirt will clarify for me. My favorite spread is 21 cards, in rows of 7. the first row is past, the second is present. and the third is future. It is a very thorough reading. I never realized you could use a regular card deck for this! Thanks for sharing! hahaha, Too many of these readings have been uncanny. I read that you based these meanings on traditional meanings. It seems that there is a special relationship between these cards and I. I appreciate your work and hope you live with tranquility. I just found your article while searching on how to read playing cards. Very interesting; I did a 5 card reading asking about my previous career as a Flight Attendant. I resigned in 2014 and have regretted it. I asked the cards if I will become a Flight Attendant again. I was not sure about the cards positions I was following, the cards are: 5 of Diamonds, Ace of Clubs, 8 of Diamonds, 7 of Diamonds, King of Spades. I hope you can help me understand, thanks. BTW, do I have to cut the cards? Cause I did not. Mariah, my system is based on traditional tarot: the suits, the elements and the numbers. You can 'verify' by reading up on the structure of tarot and how it works. Cheers. I'm looking forward to learning to read with playing cards. It's better if you learn how to read the cards yourself. Firstly, Wendy, I would make sure the cards are shuffled properly. When you get three consecutive cards like that, it's possible that they have stuck together. If the deck is well-shuffled, then your cards are indicating a positive development in the material sense. They could be saying that your bf has taken a risk, but is comfortable wherever he is. He has to juggle his resources, but working with others is helping him. Hi TJ, I have no way of interpreting your cards. I don't don't your question or your circumstances. I have no 'special powers' that allow me to know these things. Sorry, I can't read 'blind'. Why don't you tell me what you think? I have a gist of what it means. I would like to reassure and make of what's spread around me. I have a deck with 11s, 12s, and 13s in them. Do these have a use in tarot, or are they unnecessary? This is extremely useful. Thank you for this. I always get asked to do readings when I don't have my tarot deck, and now I know that I can read my regular deck, which I always carry around! It's true, I can't read for myself at all. Always good to keep a record of the reading and revisit it later. And, of course, you can keep delving deeper, through the layers and symbolism. Thanks for the answer. I do know the Tarot card equivalent for all, and my basic interpretation was similar to yours. I saw 3 of clubs as one more try thought. Of course ten of diamonds says "all will be well at the end"
Unfortunately, it is very hard to read for ourselves as in general, we all have a bias as to what we desire and often tend to see what we want instead of what the cards are really telling us. I guess this is the hardes part of reading for oneself. I'm going to give you the equivalent tarot card, so you can do some more research on the meanings. Five of Hearts = Five of Cups: upset, bereft, feeling loss. Seven of Diamonds = Seven of Pentacles: mildly dissatisfied, feeling there should be more to life. Seven of Hearts = Seven of Cups: difficulty making choices and decisions, unrealistic expectations. Three of Clubs = Three of Wands: creating opportunities for yourself. Putting in the work. Ten of Diamonds = Ten of Pentacles: Financial security, family business, inheritance. So I did the reading and could use interpretation help. Basically related to my work, left old good paying job for new job that did not work out. Hi Gypsy, it means that the energy of the 10 is reinforced and multiplied. So, extra attention should be paid to them. If they are tens, then it suggests a major ending/transformation. You just found one, Jordan :) I have given you the basics. Start there and then you can progress. Where can i find sites that i can learn to read the playing cards the future in reality and not just for fun? Absolutely right, Maurice. If you know the basics of numerology and can meld the meaning of the numbers with the elements of the suits, you can read the cards. Wow, I think I could do this. I have a connection to numerology and this seems to follow similar patterns that I can understand. I may look into this further. Try Ctrl P, Tawnya. I use Evernote, which saves a simplified version of a web page that I can then print. It's free. I have two other playing card articles - one with layouts and the other focussed toward romance. Have fun with your cards! I have always felt intimidated with using regular cards. After reading this it made me feel comfortable and I had no problem with reading them. Is there an easy way to print this? If you are confused by your deck, it might be a good idea to set them aside and get hold of a more mainstream deck. There are a huge amount of resources for learning to read using the Rider-Waite. You can find more on my site: tarot-study.info. Can you give examples of spreads to use with regular playing cards? Do you have a post that you talk about learning to read actual tarot cards? I have the Gipsy Witch Fortune ones, but I find them confusing. Hi Alex, I can't give one without the context of the question, brief situation and the 5th card. If you've never done a reading before, then one is fine. Otherwise you will just be confused. Hi, how many cards should you deal out to do a reading. I'm guessing seven or eight. Not that I know of, Day. I don't tend to use reversals that often even in a 'proper' tarot deck, as I think that the cards can convey the necessary message without them. Let me know if you find, or devise a method, and I'll add it to the article (with credit, of course). Is there any way to emulate the reversal cards with a regular deck? I used to have a pack of tarot cards with Native American characters on them but I lost it. I use a deck of playing cards now, mainly for everyday decision-making, a bit like some people use a die. After reading this I realised many of my card interpretations were incorrect (I kept mixing up the suits), so this is a very useful guide. Thanks for the education. Keep up the good work! Hi Teresa, thank you. Feel free to ask any questions you might have. That's fascinating, justarose. Have you any plans to delve into your family history? I write a lot of articles about psychics and spirit encounters on another site and some of the comments are very similar to your own. Others are from young people who are terrified out of their wits and with no idea how to get help without appearing to be mentally impaired. It's tough for some indeed. Anyway my Aunt interrupted out conversation. She said It's because our ancestors were witches, do yr family tree? That was it. No more information which doesn't surprise me, my family had always been so closed mouth and secretive. My grandmother was very superstitious. I wonder because I grew up seeing spirits and other things and thinking it was totally normal, it wasn't until I was a teen, and mentioned calmly to a girlfriends family, You have a ghost, after noticing it one day, only to be met with complete silence? I was so confused. I didn't know what I did wrong, but I knew it was because of me because I could tell they were afraid. and no one asked or talked about there house spirit. Of course I asked my grandmother when I went home. And she explained alot of people don't see spirits either because they reject the idea right out, or they are too afraid. She told me our family were more open because we always believed. And left it at that. With a warning to bite my tongue before I scare people next time. Years later about 29 years old this time. while working with a few woman on a esemble line, we were in conversation and somehow or other I mentioned a ghost family that had died in a fire in 1800 century. But the girls I worked with just skipped over what I said and conversation moved to another subject. At break time one of the girls I don't remember her name, it was the first time we ever talked to each other. But she approached me at break and said is it true? Do you really see ghost? and you admit it? I said yes, not knowing which way this conversation was heading. But I wasn't going to lie. She looked relieved. Told me she saw ghost too. Told her parents about it, and they were upset brought her to a physhicist , and now they had her diagnosed as schizophrenic and on medication that she hated. That really brought it home to me. That someone at 17 could be put on medications because they saw ghosts? What if I was born into a family like that. I reassured the girl that she was not crazy, but my stomach was sick about it all. I wondered about my kids? How should I bring them up, outwardly knowing like I was raised. Or quietly unless they brought it up. But never I decided like this poor girl was.